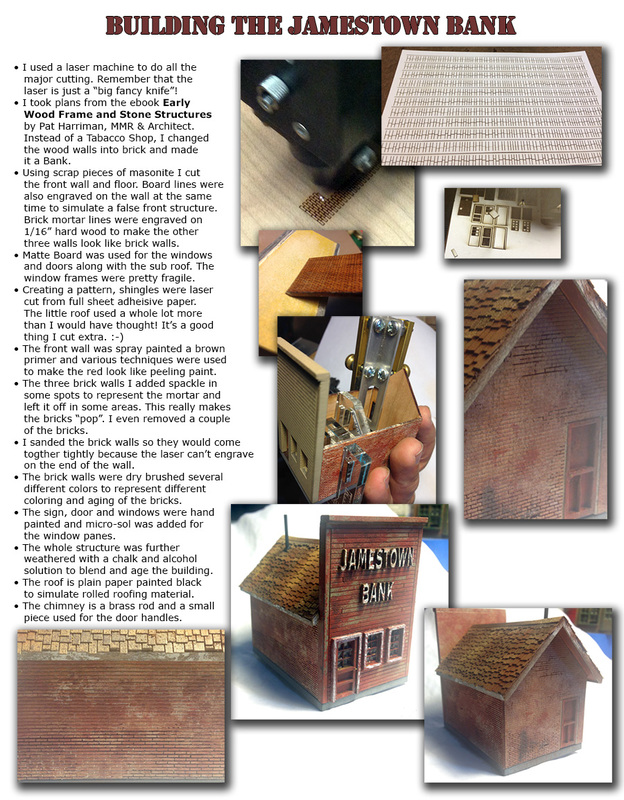 The Jamestown Assay Office and Jamestown Bank were built as companion pieces to help populate the small town on the layout I am working on right now. I needed a couple of unique buildings and also needed to scratch build several so I decided to try a few new techniques on these two and hoped I could do enough to earn Merit Awards. 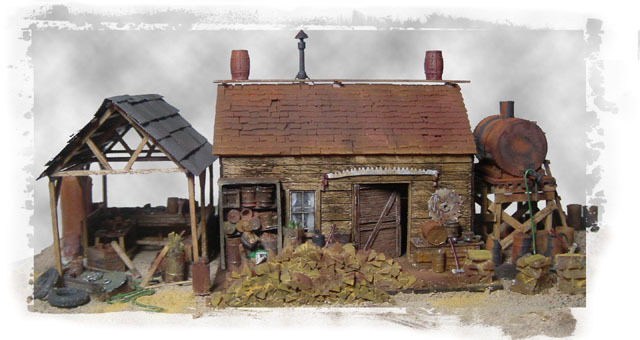 You can read the write-ups below on what I did to create these fun little buildings.